Alongside the cynical, November-released, “Greatest Hits” album, there’s always something a little disquieting about an album of festive songs. Yes, there can be genuine motives, but often it’s a case of an artist or label wanting to milk the Christmas cash cow. It’s pretty unexpected then to find former Nightwish singer Tarja Turunen releasing this album of traditional favourites. Indeed, there will unquestionably be those who are concerned that her artistic credibility is heading straight into the bin, alongside a turkey carcass and spent party poppers. However, anyone following Tarja’s career more objectively will appreciate that her entire catalogue has been artistically valid, and back in 2010, she released the similarly themed Henkäys Ikuisuudesta, which, like this current album, was far removed from cheesy fireside carols and Val Doonican jumpers. However, there is a certain predictability about From Spirits And Ghosts. Possessing a sublime classical voice that can effortlessly switch between moods, and a predisposition towards gothic grandeur, guessing how these cover versions will be slanted is a simple task. Critically, though, the arrangements have been a labour of love, as each song is sublimely layered, with the orchestral backdrop providing a suitable match for Turunen’s vocals. There’s also a darkness that permeates, and Turunen has declared that the songs are for those “lonely people that do not find joy in the blinking lights and the jingle bells”. It’s laudable that she’s achieved that aim, as transferring the inherent, upbeat merriment of Feliz Navidad into a brooding, introspective lament isn’t something every artist could achieve. At times, there’s a claustrophobia that surrounds the songs, with O Come, O Come Emmanuel possessing the aura of a soundtrack for a bleak TV drama about a family lost in a Boxing Day fire. Indeed, that lack of festive cheer could be off-putting to some, but that’s exactly the point. 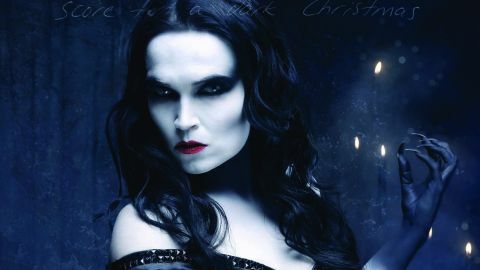 Quite whether the “lonely people” Tarja targets will quite grasp the nuances of the album, rather than calling the Samaritans’ Christmas Helpline, remains to be seen. Deck The Halls resonates with a creepy beauty, and the sole original track, Together, sits faultlessly alongside such traditional standards and proves her ability as a shrewd songwriter. The reality here may be that this is an album that even her most ardent admirers won’t listen to for more than a fortnight every year. But as festive albums go, this is a beguiling and often intriguing collection.